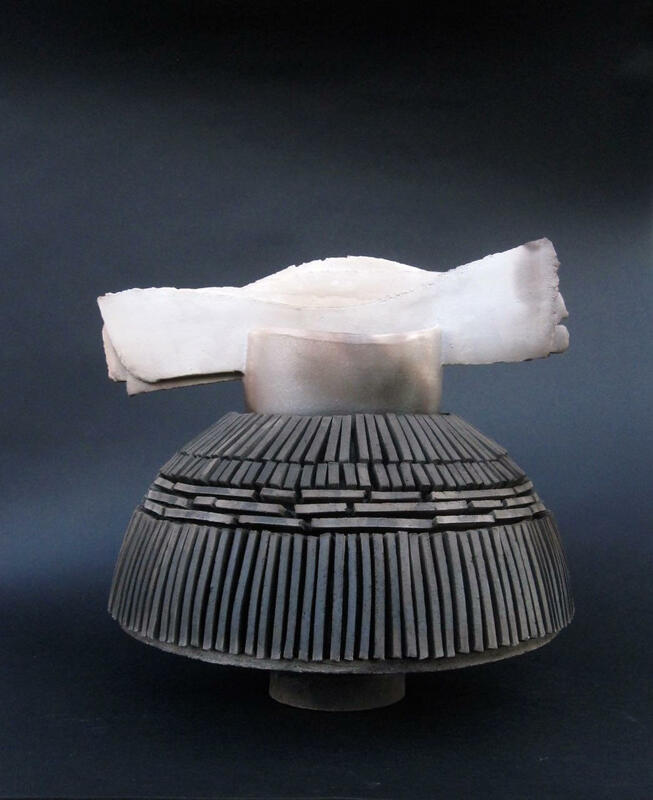 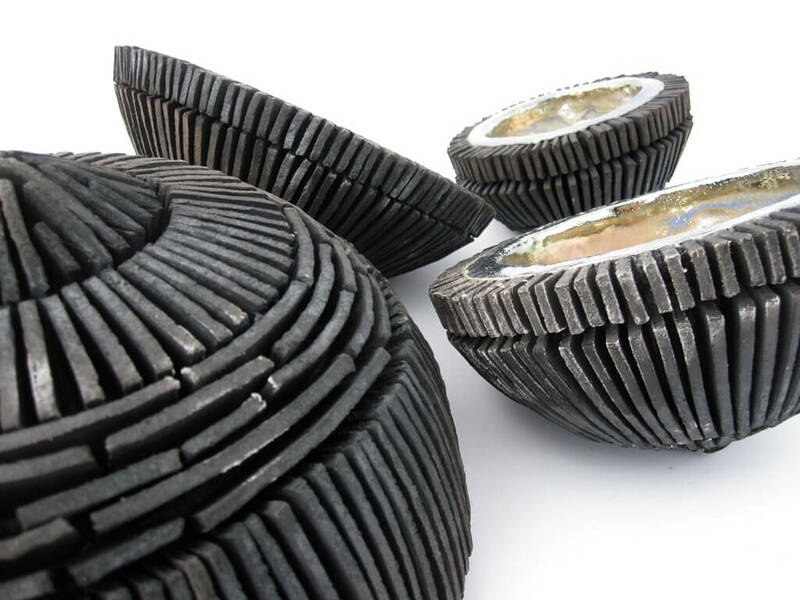 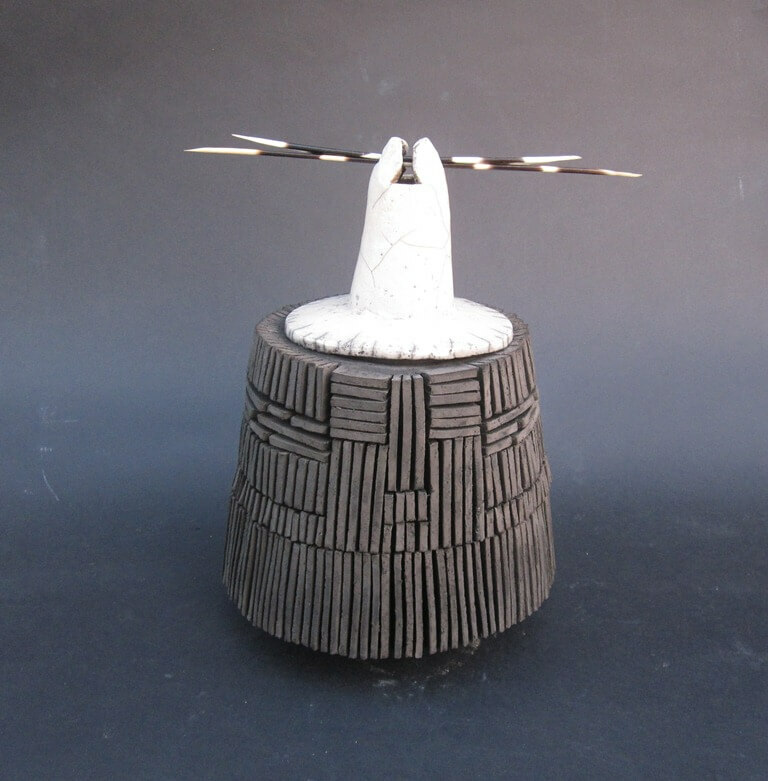 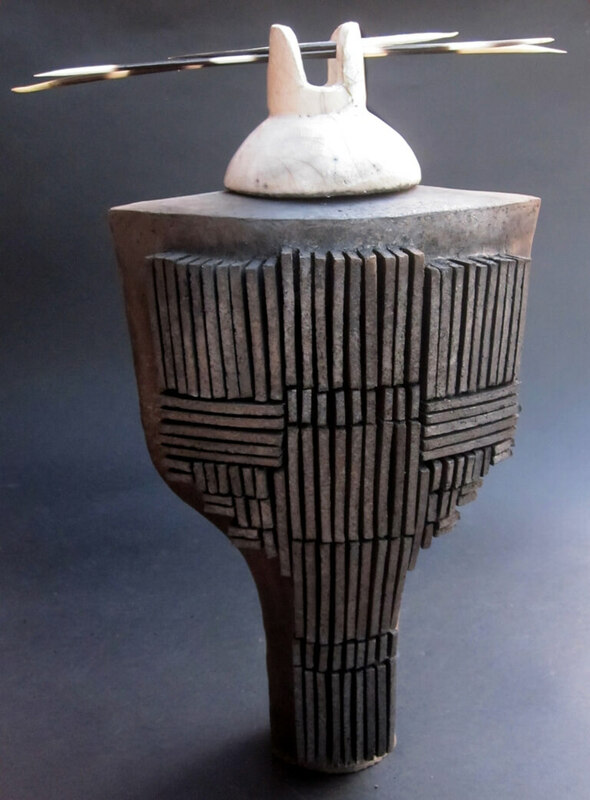 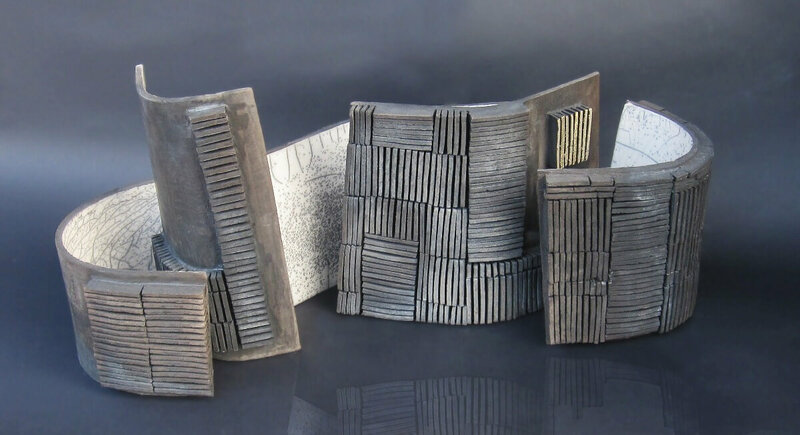 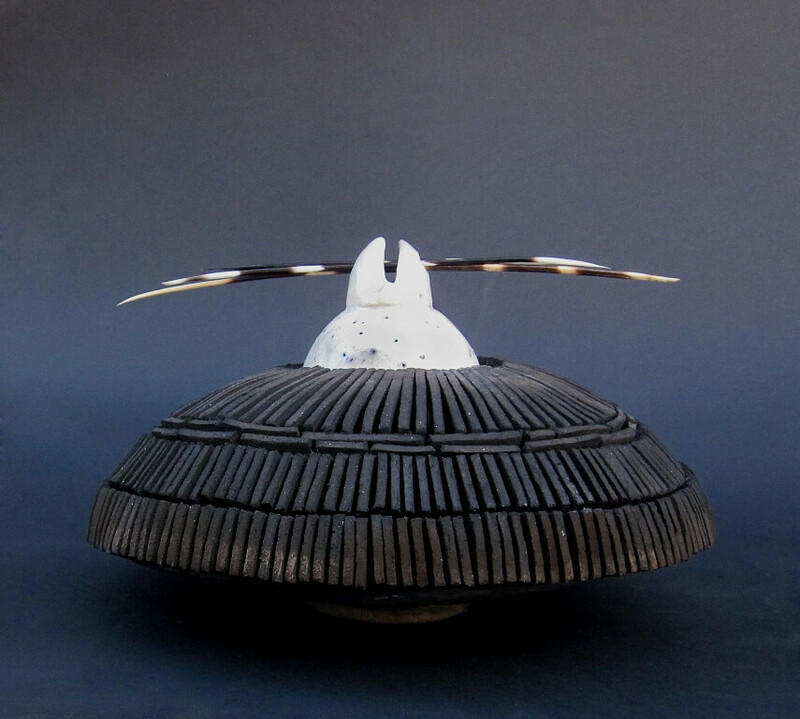 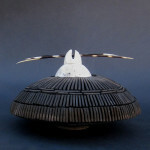 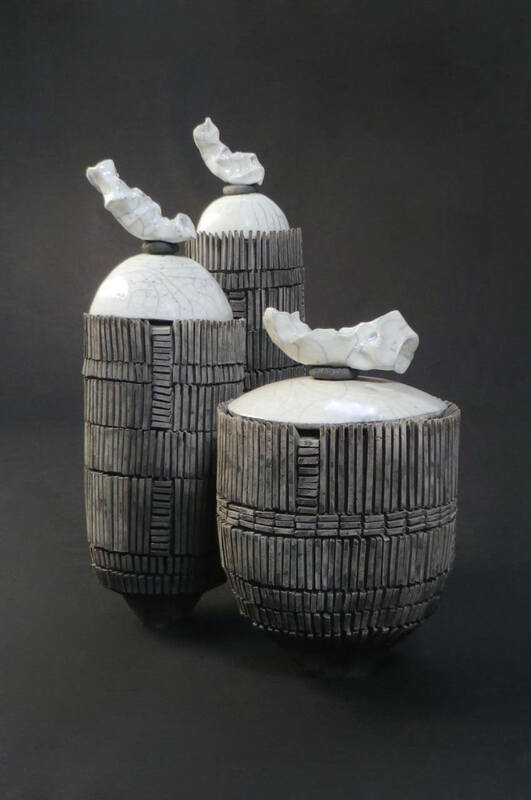 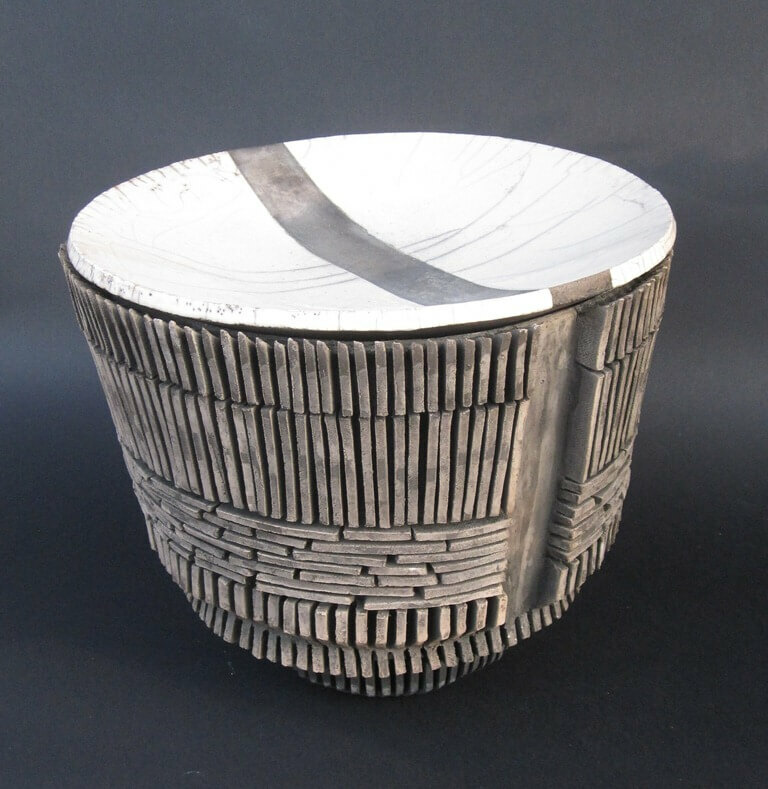 This work originates from the exploration of slab building and raku firing. 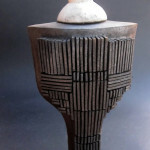 The main idea is the schematic repetition of a decorative pattern. 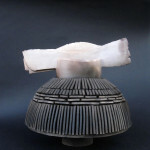 The construction proceeds without a defined framework. 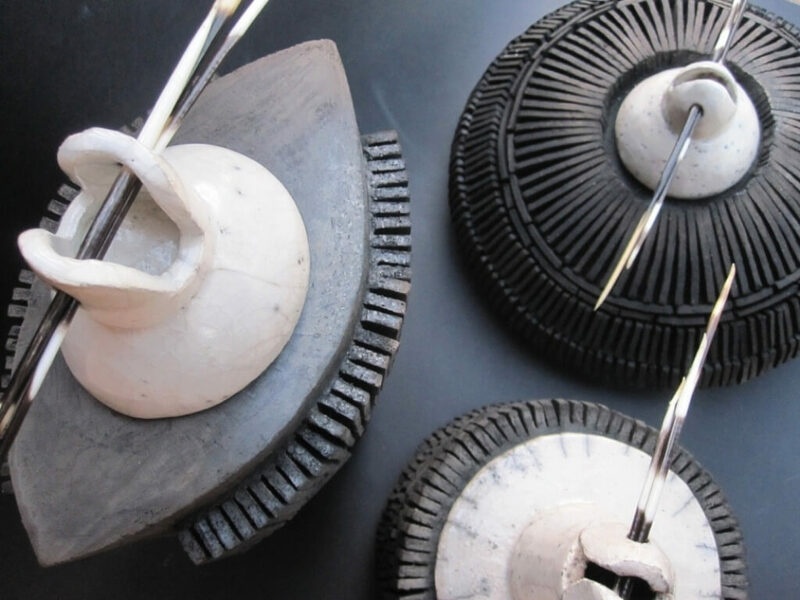 The basis of the work is the contrast of features: unfinished and polished, black and white, positive and negative, large and small, resistant and delicate, young and old. 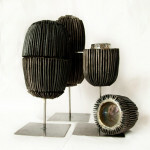 I was inspired by architecture, by the industrial landscape built by man and by cities. 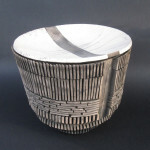 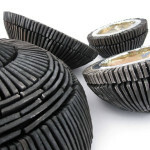 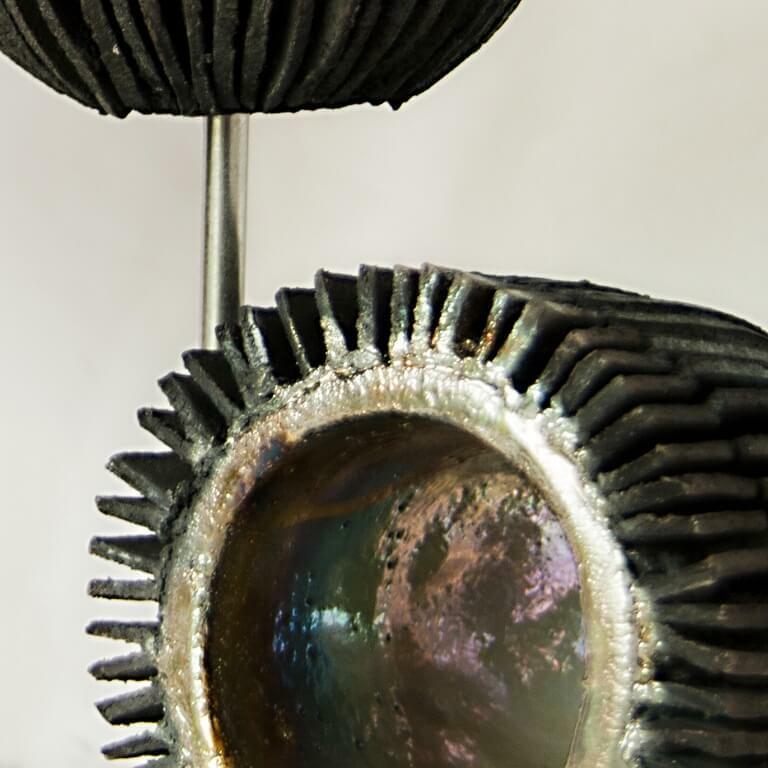 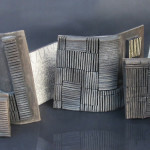 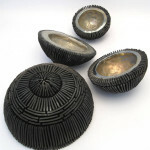 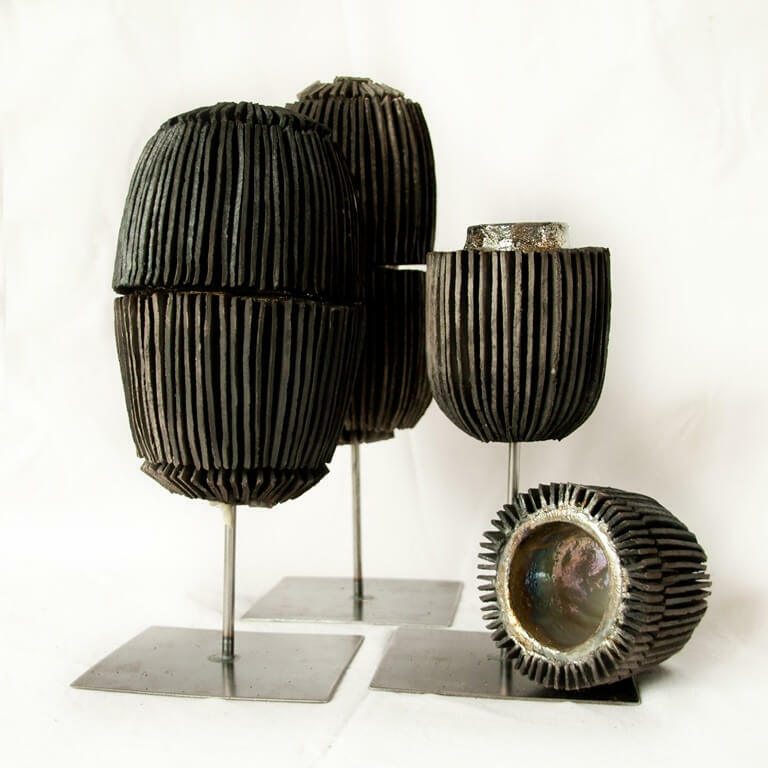 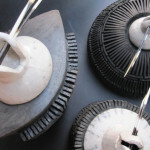 Every piece has been created using the slab building technique and raku firing. 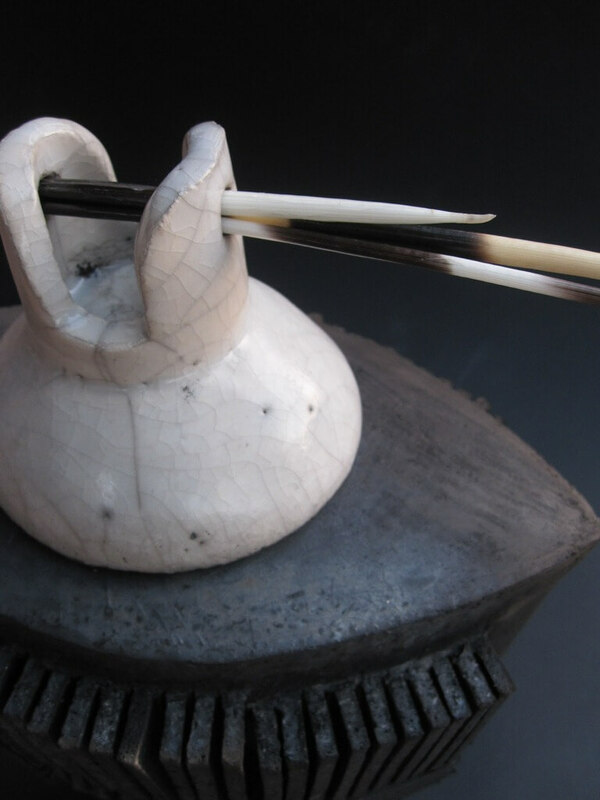 Raku, which means, joy of life, originated in Japan in the 16th century and was traditionally used to manufacture cups for the tea ceremony. 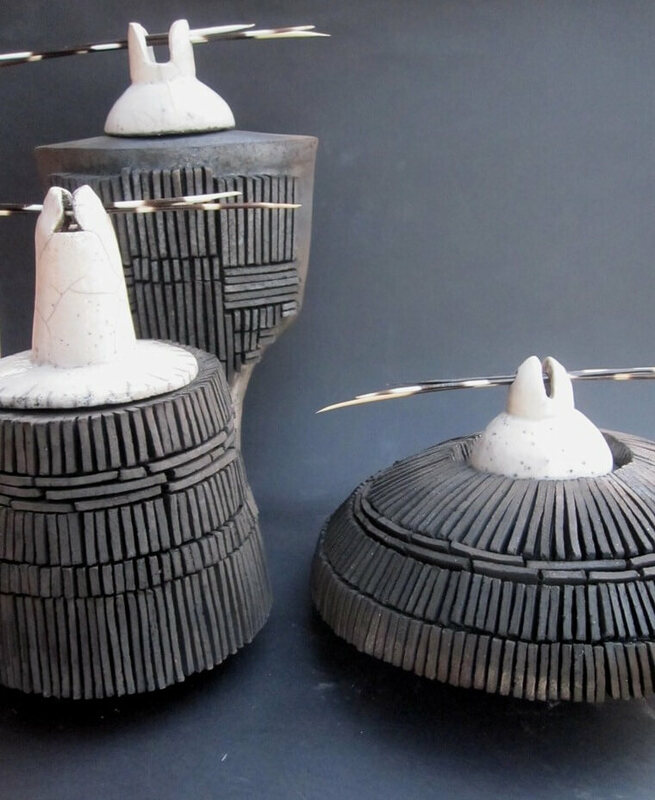 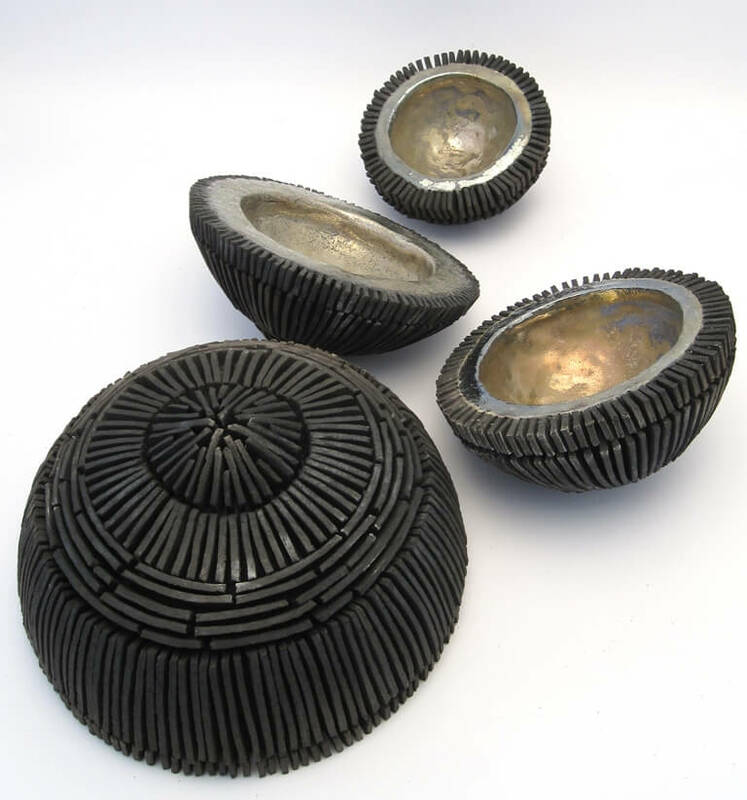 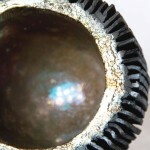 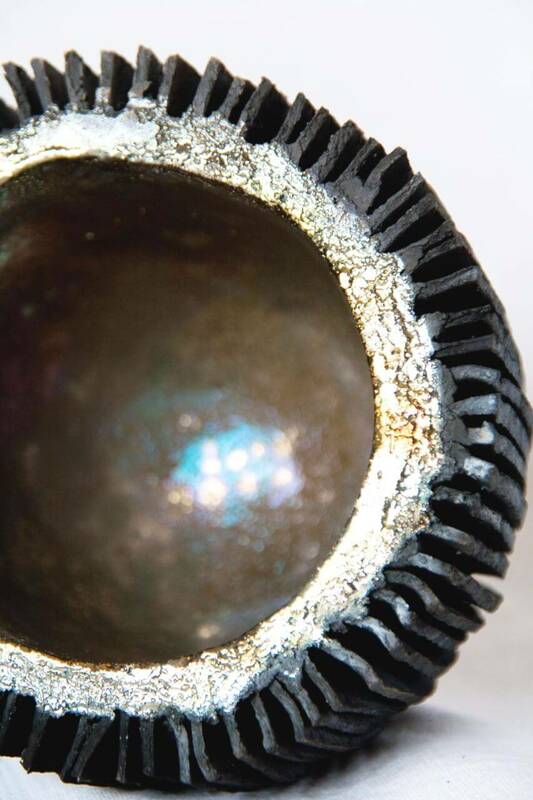 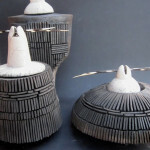 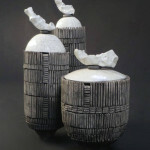 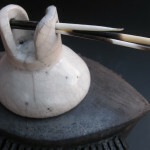 Using the Raku firing technique, once the object has been fired, it is removed from the kiln while still hot, and quickly cooled by dipping it into sawdust first and then water.